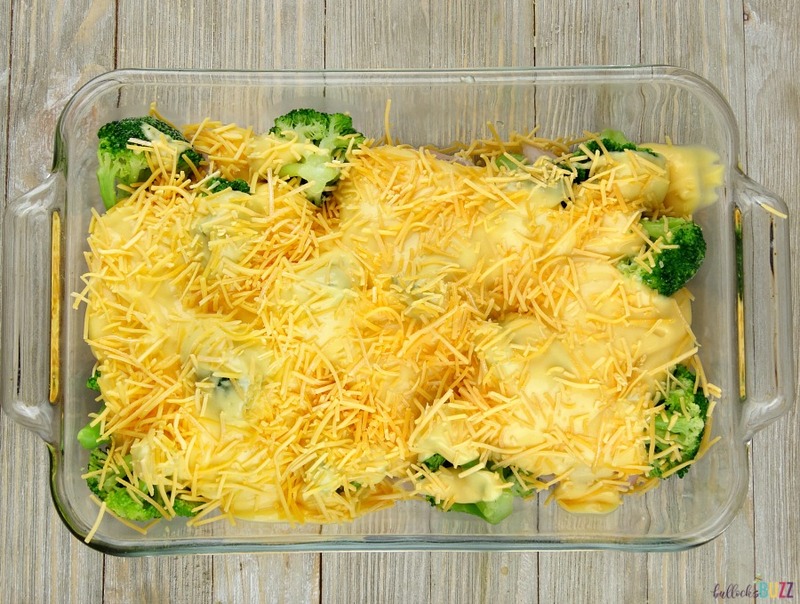 This scrumptious Baked Cheesy Chicken Broccoli Casserole is comfort food at it’s best! With only a few ingredients and one dish, you can have it prepped and in the oven in ten minutes or less! Serve it over a bed of white rice, and you have a meal that is sure to please! 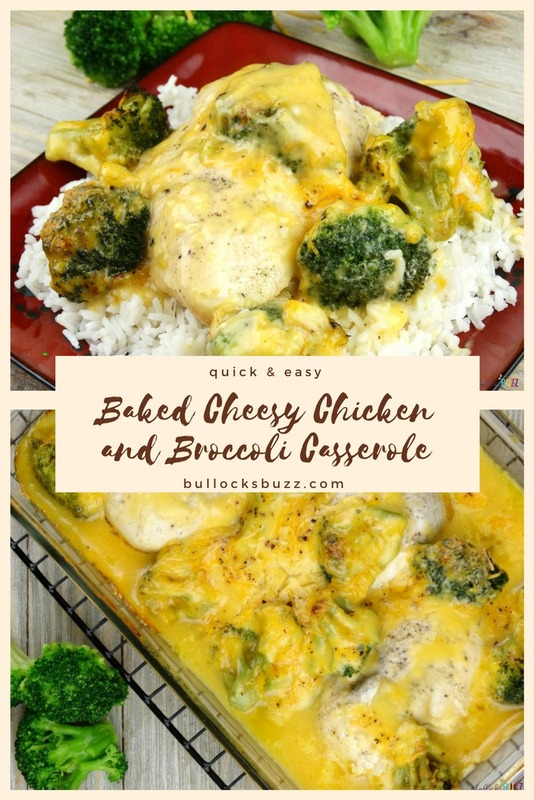 If you like chicken and broccoli with cheese, then you are going to love this quick and easy Baked Cheesy Chicken Broccoli Casserole recipe! The inspiration for this casserole came from one of my favorite meals I used to make back in my twenties – baked chicken with a side of broccoli and cheese and some white rice. Those four foods tasted so good together, I figured why not combine them into one quick, and easy-to-make casserole? So I did. And my family loves it! I hope yours does, too! 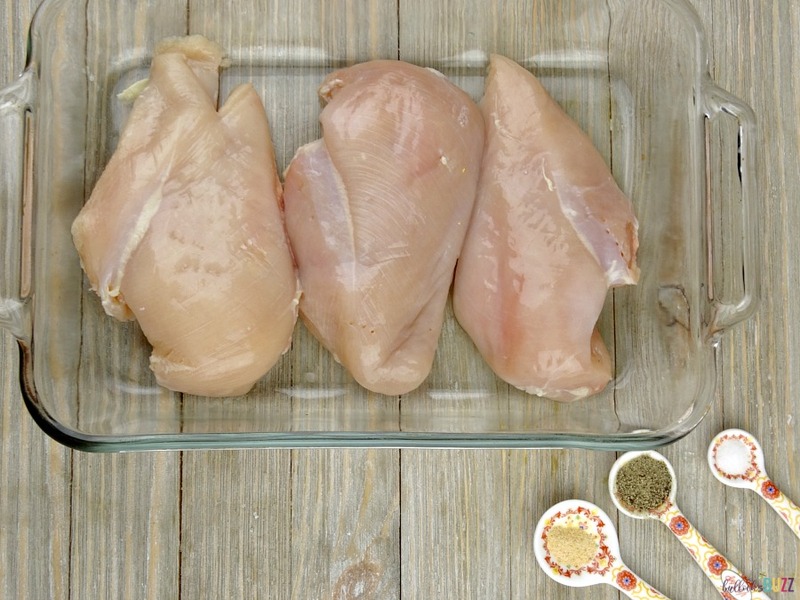 Begin by preheating the oven to 400° F. Place the chicken breasts flat on the bottom of a baking dish. I prefer to use a 2qt pyrex because it fits 3 chicken breasts perfectly. Lightly season both sides of the chicken breasts with garlic, salt and pepper. Next, place the frozen broccoli florets on top of the chicken breasts. Then, in a medium bowl, combine the cream of chicken soup with Ricos Aged Cheddar Cheese Sauce, mixing well. Now spread the cheese sauce evenly over the top of the broccoli, then top with a sprinkle of shredded cheddar cheese. Place on the lower, middle rack in the oven for 45-60 minutes or until the chicken is cooked through. Depending on the thickness of the chicken breasts this could take more or less time. Keep an eye on it while it bakes, and if it gets to where you don’t want it to brown anymore, loosely cover with a piece of foil for the remainder of the cook time. Once finished, serve over rice or pasta, and enjoy! 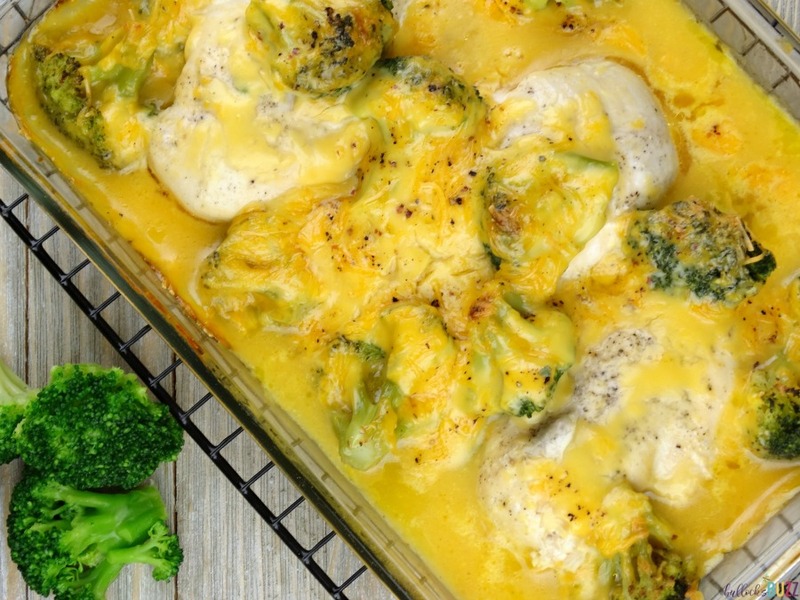 There is just something so yummy about the flavor combination of chicken, broccoli and cheese in this dish! And when it’s made with Ricos Aged Cheddar Cheese Sauce, it gets even better! Speaking of Ricos, have you ever tried it? It’s incredibly easy to use, just heat and eat. It can be used as an ingredient, as a topping, or as a dip. Best of all, Ricos is trans fat-free and made with no hydrogenated oils. Ricos has a entire line of cheese sauces that are great for parties, holidays, cookouts and more. You can find their products at your local Walmart. For more information about Ricos cheese sauces, as well as lots of delicious recipes, take a look at their website! 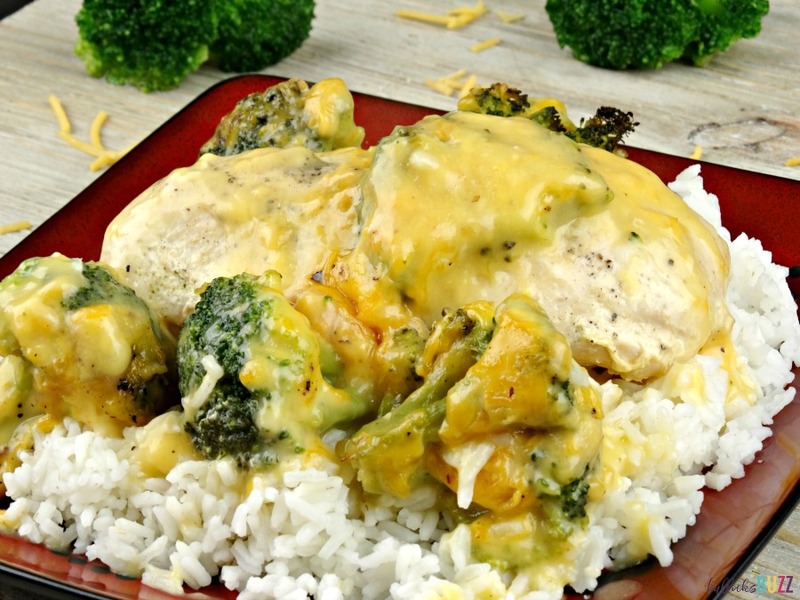 Tender, juicy chicken breasts and crunchy broccoli florets are covered with a rich, aged cheddar cheese sauce in this scrumptious casserole that is comfort food at its best. 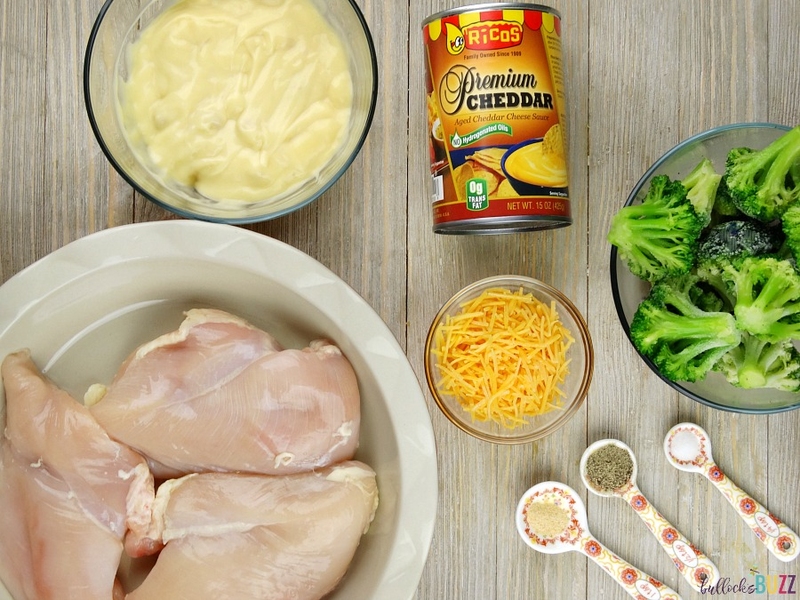 With less than ten minutes of prep time, this one-dish Baked Cheesy Chicken and Broccoli Casserole is sure to become a family favorite! Place the chicken breasts flat on the bottom of a baking dish. Lightly season both sides of the chicken breasts with garlic, salt and pepper. 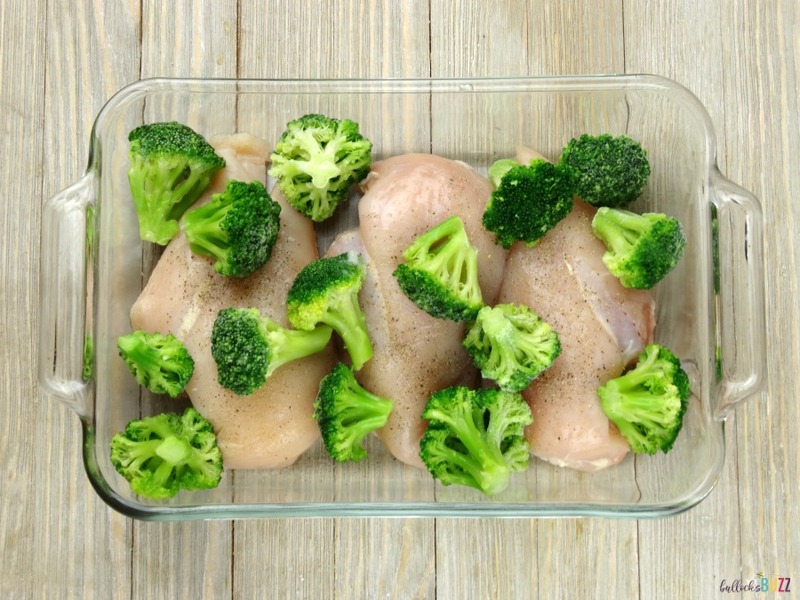 Place the frozen broccoli florets on top of the chicken breasts. In a medium bowl, combine the cream of chicken soup with Ricos Aged Cheddar Cheese Sauce. Mix well. 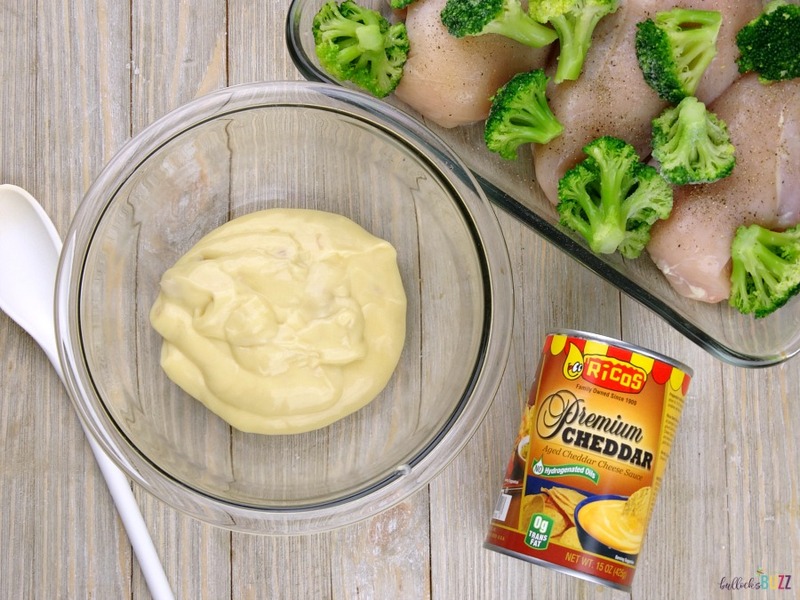 Spread the cheese sauce evenly over the top of the broccoli. Sprinkle shredded cheddar cheese over the dish. Place on the lower, middle rack in the oven for 45-60 minutes or until the chicken is cooked through. Depending on the thickness of the chicken breasts this could be more or less time. Check the chicken throughout and if it gets to where you don’t want it to continue to brown, loosely cover with a piece of foil for the remainder of the cook time. Serve over rice or pasta, and enjoy! What’s your favorite way to use Ricos Cheese Sauce? What a yummy way to use this Cheesy Sauce!!! Usually I see recipes for nachos or tacos, etc. Your casserole looks really good! Aw thanks Lois! It came out really good, and was a cinch to make!